Professor Jeffrey J. P. Tsai received his Ph. D. degree in Computer Science from Northwestern University, Evanston, Illinois. He is currently the President and the Chair Professor of Bioinformatics and Medical Engineering at Asia University, Taiwan. Dr. Tsai was a Professor of Computer Science and the Director of the Distributed Real-Time Intelligent Systems Laboratory at the University of Illinois. He was also a Visiting Professor at Stanford University, a Visiting Scholar at the University of California at Berkeley, a Senior Research Fellow of IC2 at the University of Texas at Austin, and an Adjunct Professor at Tulane University. His research interests include artificial intelligence, bioinformatics, intrusion detection, knowledge-based software engineering, formal modeling and verification, distributed real-time systems, and intelligent agents. His research has been supported by US NSF, DARPA, USAF Rome Laboratory, Department of Defense, Army Research Laboratory, Motorola, and Fujitsu. The technology on knowledge-based software engineering developed by him and his research team resulted the world-first complete transformation of an embedded software product in 1993 and is now used to produce communication software systems worldwide. He has published over 300 technical papers and 13 technical books. In addition, he has published 2 books in Chinese. Dr. Tsai chaired the IEEE/CS Technical Committee on Multimedia Computing and served on the steering committee of the IEEE Transactions on Multimedia from 2000 to 2003. He was an Associate Editor of the IEEE Transactions on Knowledge and Data Engineering from 1994 to 1999 and an Associate Editor of the IEEE Transactions on Services Computing from 2008 to 2012. He is currently the Co-Editor-in-Chief of the International Journal on Artificial Intelligence Tools. Dr. Tsai has served on the IEEE Distinguished Speaker program, US DARPA ISAT working group, and on the review panel for US NSF and NIH. He received an Engineering Foundation Research Award from the IEEE and the US Engineering Foundation Society, a University Scholar Award from the University of Illinois Foundation, an IEEE Technical Achievement Award and an IEEE Meritorious Service Award from the IEEE Computer Society. He is a Fellow of the AAAS, a Fellow of the IEEE, and a Fellow of the SDPS. ?President, Asia University, Taiwan, 2010-present. ?Chair Professor, Department of Bioinformatics and Medical Engineering, Asia University, Taiwan, 2010 - present. ?Professor, Department of Computer Science, University of Illinois, 2001 - 2010. ?Visiting Professor, Stanford University, 2010. ?Visiting Scholar, University of California at Berkeley, 2010. ?Senior Research Fellow, IC2, University of Texas at Austin, 2005 - present. ?Chair Professor, National Chiao-Tung University, Taiwan, 2004. ?Chair Professor, China Medical University, Taiwan, 2009-2010. ?President, Taichung Healthcare and Management University, 2001-2003. ?Adjunct Professor, Department of Community Health Sciences, School of Public Health and Tropical Medicine, Tulane University, 2004 - 2009. ?Visiting Computer Scientist, U.S. Air Forces Rome Research Laboratory, New York, 1994- 1995. ?Member, Board of Director, Mid-America Chinese Science and Technology Association, 1991-1995. ?Vice-President, Mid-America Chinese Science and Technology Association, 1993- 1994. 1.Honorary Editors-in-Chief , International Journal of Engineering and Industries (IJEI), 2010-2015. 2.Co-Editor-in-Chief, International Journal of Artificial Intelligence Tools, 1994-present. 3.Editor-in-Chief, SDPS Transaction on Integrated Design and Process Science, 2001 - 2006. 4.Editor-in-Chief, Book Series in Health Informatics, 2005-2010. 5.Editor, Annals of Software Engineering (Kluwer), 2000-2002. 6.Associate Editor, IEEE Transactions on Knowledge and Data Engineering, 1994 - 1999. 7.Associate Editor, IEEE Transactions on Services Computing, 2008 – 2012. 8.Associate Editor, International Journal of Systems Integration (Kluwer), 1994-2002. 9.Associate Editor, International Journal of Web Services Research, 2003-present. 10.Associate Editor, International Journal of Software Engineering and Knowledge Engineering, 1990 - 2010. 11.Associate Editor, International Journal of Semantic Computing, 2007 - present. 12.Associate Editor, Journal of Ubiquitous Computing and Intelligence, 2005 – present. 13.Editor, Int’l Journal of Cognitive Informatics and Natural Intelligence, 2005 – present. 14.Editor, Encyclopedia of Computer Science and Engineering, Wiley Interscience, 2002-2009. 15.Associate Editor, International Journal of Software Science and Computational Intelligence (IJSSCI), 2009 - present. 16.Editor, Handbook on Software Engineering and Knowledge Engineering, 1999-2002. 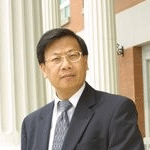 17.Editor, Journal of the Chinese Institute of Engineers, 1997 - 2004. 18.Guest Co-Editor, ACM Transactions on Autonomous and Adaptive Systems, 2006. 19.Guest Co-Editor, Int'l Journal of Software Engineering and Knowledge Engineering, special issue on Software and Knowledge Support in Bioinformatics, April 2005. 20.Guest Editor, Annals of Software Engineering, special issue on Multimedia Software Engineering, 2001. 21.Guest Co-Editor, Int'l Journal of Software Engineering and Knowledge Engineering, special issue on Multimedia Software Engineering, 1999. 22.Guest Editor, Annals of Software Engineering, special issue on Real-Time Software Engineering, 1999. 23.Guest Editor, International Journal of Software Engineering and Knowledge Engineering, special issue on High-Assurance Systems, 1999. 24.Guest Editor, IEEE Transactions on Knowledge Engineering and Data Engineering, special issue on Dependability of A.I. Systems, Feb. 1995. 25.Guest Editor, International Journal on Software Engineering and Knowledge Engineering, special issue on A.I. Techniques for Software Engineering, Dec. 1992. 1.IEEE Knowledge and Data Engineering Exchange Symposium, Taipei, 1998. 2.The ATLAS Biennial Conference on Transdisciplinary- Transnational- Transcultural, June 6-9, 2012. 3.2018 Conference on Technologies and Applications of Artificial Intelligence, Taichung, Taiwan, Dec. 10- Dec. 12, 2018. 1.The 13th IEEE International Conference on Semantic Computing, Laguna Hills, California, USA, Jan 30 – Feb. 1, 2019. 2.The 20th IEEE International Symposium on Multimedia, Taichung, Taiwan, Dec. 10-12, 2018. 3.The 1st IEEE International Conference on Artificial Intelligence and Virtual Reality, Taichung, Taiwan, Dec. 10-12, 2018. 4.The 18th annual IEEE International Conference on Bioinformatics and Bioengineering, Taichung, Taiwan, Oct. 29-31, 2018. 5.The 1st IEEE International Conference on Artificial Intelligence and Knowledge Engineering, Newport Beach, California, USA, Sept. 26-28, 2018. 6.The 2nd IEEE International Conference on Cognitive Computing, San Francisco, USA, July 2-7, 2018. 7.The 19th IEEE International Symposium on Multimedia, Taichung, Taiwan, Dec. 11-13, 2017. 8.The Challenges and Opportunities for Higher Education in the Age of the Fourth Industrial Revolution, Taichung, Taiwan, Nov. 20-21, 2017. 9.The 1st IEEE International Conference on Robotic Computing, Taichung, Taiwan, Apr. 10-12, 2017. 10.The 1st IEEE International Conference on Cognitive Computing, Hawaii, USA, Jun. 25-30, 2017. 11.The 9th IEEE International Conference on Cloud Computing, USA, Jun. 27 – Jul. 2, 2016. 12.The 16th IEEE International Conference on Bioinformatics and Bioengineering, Taiwan, Oct. 31 – Nov. 2, 2016. 13.The 2nd IEEE International Conference on Multimedia Big Data, Taiwan, Apr. 20 – 22, 2016. 16.The 11th IEEE International Conference on Bioinformatics and Bioengineering, Taichung, Taiwan, Oct. 24-26, 2011. 17.The 11th IEEE Int’l Symposium on Multimedia, San Diego, California, Dec. 14-16, 2009. 18.The 9th IEEE Int’l Conference on Bioinformatics and Bioengineering, Taiwan, June 22-24, 2009. 19.The Third IEEE Asia-Pacific Services Computing Conference (APSCC 2008), Yilan, Taiwan, December 09-12, 2008. 20.The 1st IEEE Int’l Workshop on Multimedia, Information Privacy, Intelligent Computing Systems, Yilan, Taiwan, December 09-12, 2008. 21.The 2008 IEEE International Conference on Sensor Networks, Ubiquitous and Trustworthy Computing, Taiwan, June 11-13, 2008. 22.The11th Conference on Integrated Design and Process Technology, Taiwan, June 1-6, 2008. 23.The 1st IEEE International Workshop on Ambient Semantic Computing, Taiwan, June 11-13, 2008. 24.The 9th IEEE Int’l Symposium on Multimedia, Taiwan, Dec. 10-12, 2007. 25.The 1st International Symposium on Creativity, Innovation, and Entrepreneurship (INSPIRE07), Taiwan, May 30 – June 1, 2007. 26.The 3rd IFIP International Conference on Ubiquitous Intelligence and Computing, Wuhan, China, September, 2006. 27.The 1st IEEE International Conference on Sensor Networks, Ubiquitous and Trustworthy Computing, Taiwan, June 5-7, 2006. 28.The 7th IEEE Int’l Symposium on Multimedia, Irvine, CA, Dec. 12-14, 2005. 29.The 16th IEEE Int’l Symposium on Software Reliability Engineering, Chicago, ILL., USA, Nov. 8-11, 2005. 30.The 4th IEEE Int’l Conference on Cognitive Informatics, Irvine, CA, USA, August 2005. 31.The 5th IEEE Int’l Symposium on Bioinformatics and Bioengineering, Taiwan, May 2004. 32.The 6th Conf. on Engineering Technology and Application of Chinese and Western Medicine, Taiwan, May 2003. 33.The 4th IEEE Multimedia Software Engineering Symposium, Irvine, CA, USA, Dec. 2002. 34.2002 Object-Oriented Technology and Application Workshop, Taiwan Oct. 2002. 35.National Information Security Conference, Taiwan, May 2002. 36.The 2nd IEEE Multimedia Software Engineering Workshop, Kyoto, Japan, 1998. 37.IEEE Knowledge and Data Engineering Exchange Workshop, Irvine, CA, 1997. 38.The IEEE International Conference on Tools with Artificial Intelligence, New Orleans, November 1994. 39.MACSTA Fall Forum, Mid-America Chinese Science and Technology Association, Lisle, ILL., Nov. 1993.